Blizz wants to bring you all back this weekend for free. They also wanna give you deals on character services. We now have a basic plan for Classic Servers. New login screen looks a lot like WCIII. We now have an end game for your Legion weapons. PVP getting overhauled and we have the deets. More around blizzard and your emails! The new title music is out and it's pretty ok! Or is it? What we learned from Ion in the latest Q&A. What we learned from the E3 story panel the WoW team did. The new book is out! All Around Blizzard, and your emails! Copy your main to the beta now! 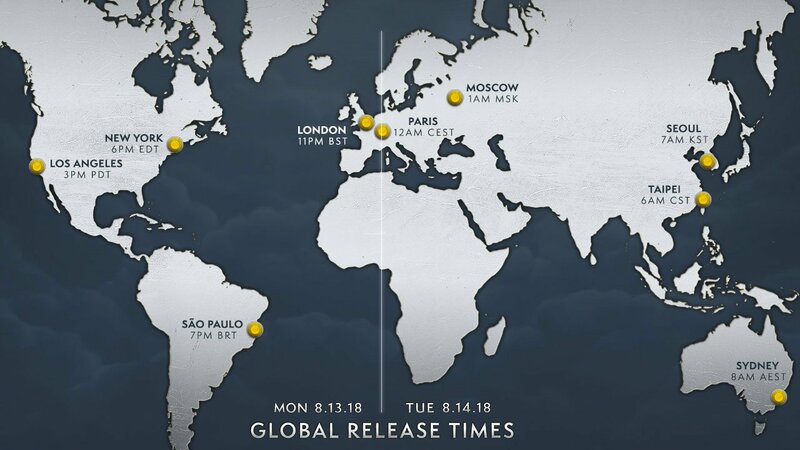 BfA will launch in all regions at the same time, a first for the game. WoW story telling on display at E3 next week. Movie props go for big cash if you are a Warcraft fan. Three Sisters is pretty good. Dusting off that old monk. Around Blizzard update, and your emails! So you might wanna hear this beta key story. WoW gold is worth a lot in South America. Your feedback about launcher changes. Will we see Arthas's sister? There might be a new well of eternity. 13 to 23. Will Blizz ever do another base building RTS? Probably not. Why OW will never get a campaign. And more! What's this new invader on the Blizz launcher? Lots of blizzard stuff on a leaked memo that may not be real at all. That WoW DDoS attacker in Romania faces actual justice for his crimes. We are running a contest for BFA beta keys! (Thanks, Blizzard!) That SC2 Diablo II remake is way better than you think. Happy 2 years, Overwatch! Why waiting in line for Blizzcon tickets is hard! And so much more! Get the show on your apps and phones and stuff here and never miss an episode!